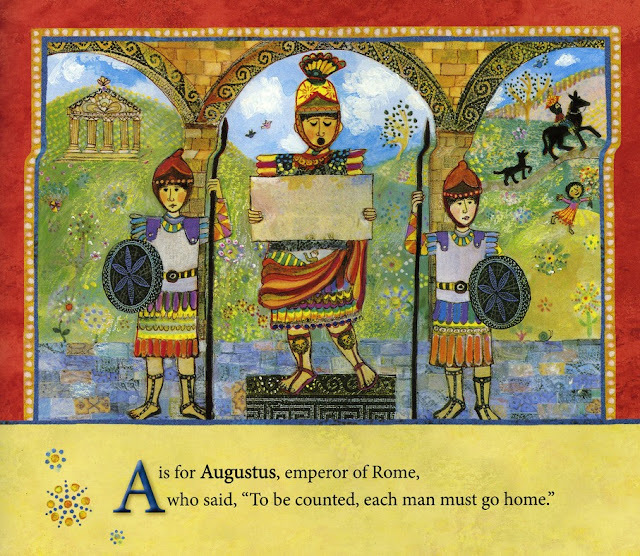 The illustrations are beautiful and the book has a regal feel to it. The pictures are framed in golden tones and then red and the words are on the bottom on gold. 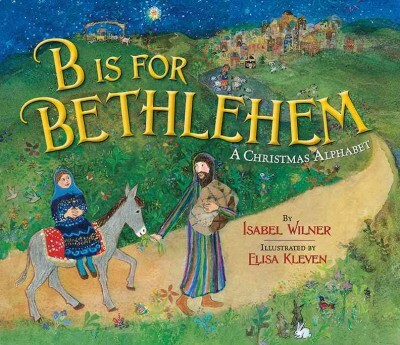 Each word picked for the letter is described in the detail of how it was part of the first Christmas and the sentence for each has a rhyme (or near rhyme). It is a fun way to review the story and the feelings without telling the story again. It also can spark the child into telling the story to you. Reading the publisher's description, the book was first written as part of a second grade play. Our second book is not a religious one, but rather a Santa one. Hazel picked this one as well for a review. This book is what I call The Polar Express for younger kids. 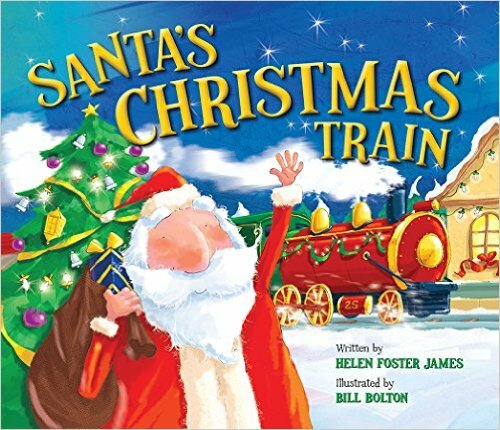 It is Santa's Christmas Train by Helen Foster James and illustrated by Bill Bolton. Now Hazel has heard the story of The Polar Express, but there are parts that scare her. This cute rhyming book tells the tale of children getting on Santa's train to visit Santa's Village before Christmas. It describes what they see and how fun the trip is and then how tired they are when they return home. It is the perfect train story for the younger set. Hazel really likes it as well and loves that it rhymes. The children on the train are diverse. Santa's Village has everything in red and green and silver bells. They see Mrs. Claus and the elves and of course Santa. 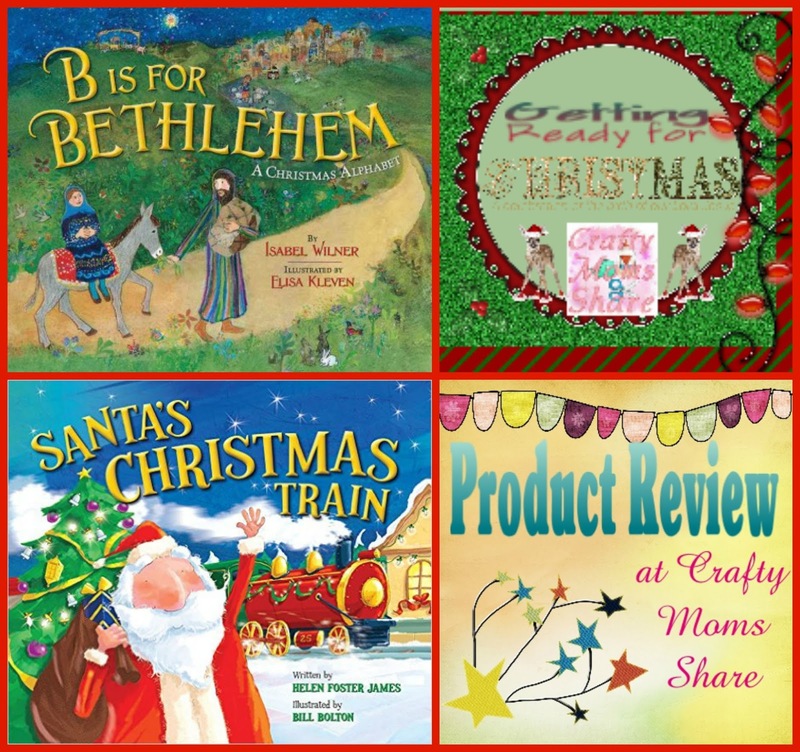 It is a fun book for right before Christmas or before going on a Christmas train. We recommend both of these wonderful books. They help bring the excitement of Christmas, both religiously and non-religiously, to the season!! For more Christmas book recommendations check out our Must Read Christmas Book post, our Multicultural Christmas Book Round-Up, and the two we reviewed last week, The Mouse and the Mircale (a religious replacement for the Elf on the Shelf), plus our Must Read Every Year Christmas Book Pinterest Board.